Hello there and welcome to another weekly round up. I may have missed another week because I was busy promoting the new Hatchibabies but I'm back and I am pretty certain you didn't really miss my updates too much. Well October hasn't been bad weather wise has it. I've managed to get my washing out on the line more often than not and so far I have also somehow got the husband to keep his hands off of the heating. I plan on not turning the fire on until at least the beginning of November! I'm still applying for jobs, didn't manage to get an interview for the last position I applied for but I'm nothing but determined, there is a job out there for me somewhere . . . I hope. My reading has slowed down somewhat again, I've almost lost that mojo to want to pick up a book and get lost in it. Might have something to do with the fact that many books I'm reading lately just aren't living up to their expectations. 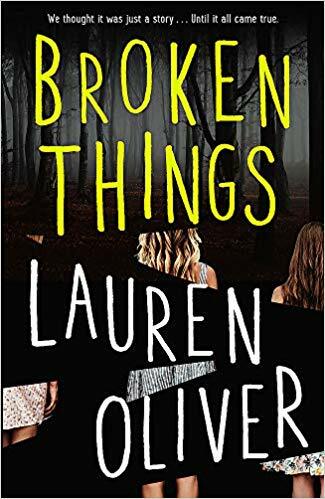 The latest novel I read was the latest one from Lauren Oliver called Broken Things. I got all excited as I love the author and the blurb caught my interest but the story itself seemed quite a let down from my initial feelings. It wasn't a bad book but it didn't give me 'the feels'. Over all it was just a bit meh. I've been watching one of Netflix's limited series called Maniac. It stars Emma Stone and Jonah Hill and there is only one word to describe it, strange. It's one of those shows that you become totally engrossed with even though most of the time you find yourself saying, "I don't get it". But it is definitely worth a watch. And on another note, did anyone watch The Circle? How addictive did that end up being! And I'll be honest I was pleased with the winner. Got some sad news this week that unfortunately an elderly lady who had worked at my girls school for many years sadly passed away this week. She was loved by so many and known for her fun and cheery nature. A woman that despite being in her 80s was full of life and will be oh so missed by children and adults alike. Not something I wore rather something my youngest daughter wore. 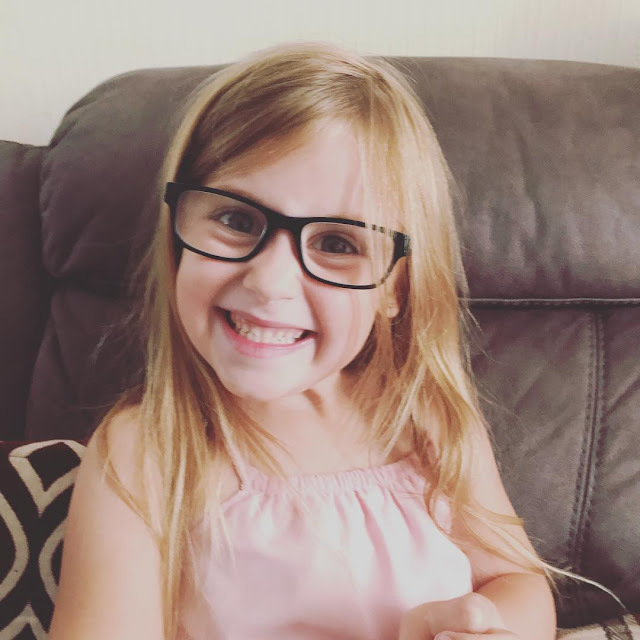 We finally picked up her new glasses this week and I know I'm her mum and therefore biased but how blooming cute does she look? She was rather worried about getting them and she had concerns about what others would say but she's taken to them quite well, just got to stop her from keep trying to peer over the top of them all of the time. I made an impromptu trip up to the hospital on Monday morning after managing to slip down the stairs. All I can say is OW! Luckily after an examination it was determined that nothing was fractured or broken just some bruising but I was warned it could take up to 6 weeks to feel completely better because of how I landed. Ibuprofen and paracetamol have become my best friends this week I can tell you. One more week of this school term to go and quite honestly I've been counting down since they went back after the summer holidays. I cannot wait to have some much needed time off but in the mean time I think this weekend will be spent with my lying down a lot, trying to recover as fast as I can so that I'm able to do things with the kids when the holidays begin. Oh my goodness she looks gorgeous in her glasses I love them. Really suit her. I am sorry to hear about bad backs can relate there. Hope you have a wonderful weekend.